Kimana House is a beautiful self-catering 4-bedroom home set on the banks of the river. Surrounded by Yellow Fever trees, this secluded area of the Sanctuary is the perfect place for a relaxing holiday in the bush. Spend time with a book on the veranda with your binoculars at hand, or head out for a game drive; you set the pace. The house sleeps 8 people comfortably - three double rooms, one that can be split into twin beds or come together as a double as needed, and one twin room. All the rooms have en-suite bathrooms. The house has a wonderful on-site manager who will do housekeeping duties throughout your stay, as well as the washing-up. Making the magic happen in the kitchen is up to you though! The Sanctuary is yours to explore by vehicle from the house, and for those wanting to venture further afield, Amboseli National Park is only a half-hour drive away. 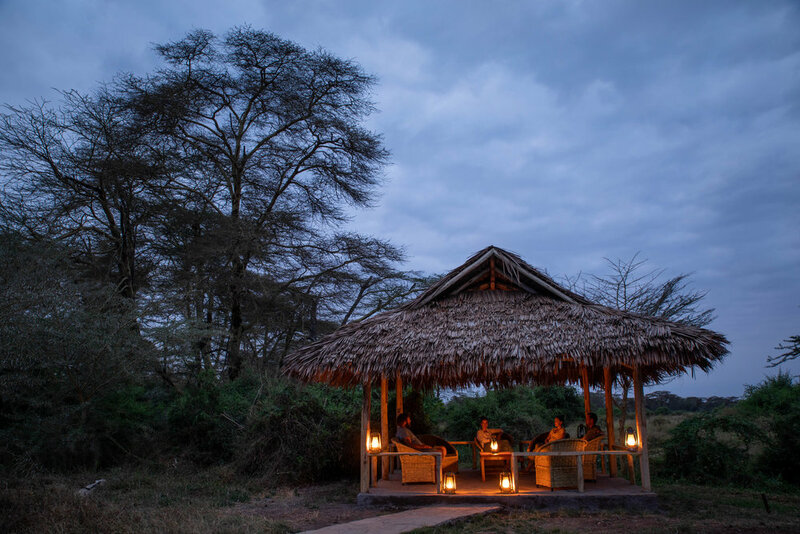 All profits from your stay at Kimana House will provide important income to the community stakeholders as well as providing funds for the ongoing conservation of this crucial wildlife area. Drinking water filter provided (Unilever PureIt). The kitchen has a gas oven with 4 hobs. BBQ provided - BYO charcoal. Large chest fridge - no freezer so BYO ice if required. Solar power system with inverter. Water is heated by a combination of a wood-burning boiler and a solar water heater. There is a small wallowing pool in the river so pack your swimmers for a hot day!